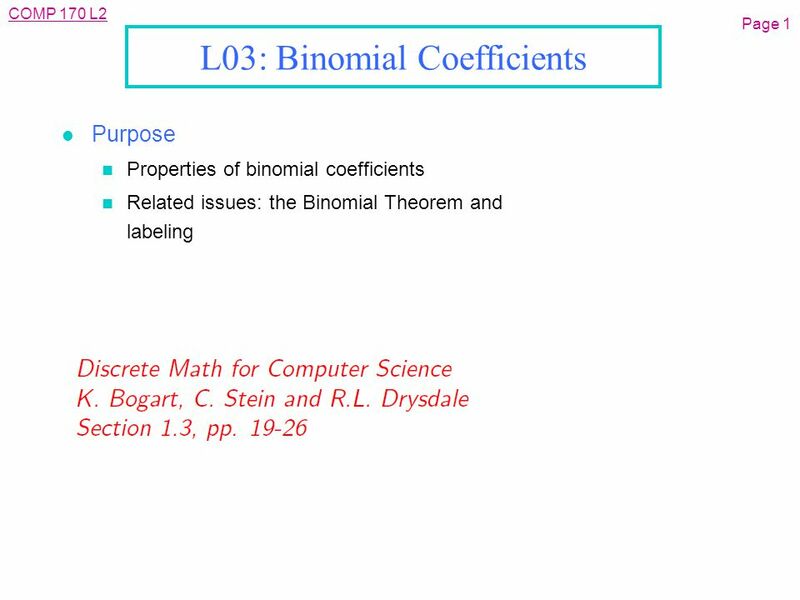 COMP 170 L2 Page 1 L03: Binomial Coefficients l Purpose n Properties of binomial coefficients n Related issues: the Binomial Theorem and labeling. 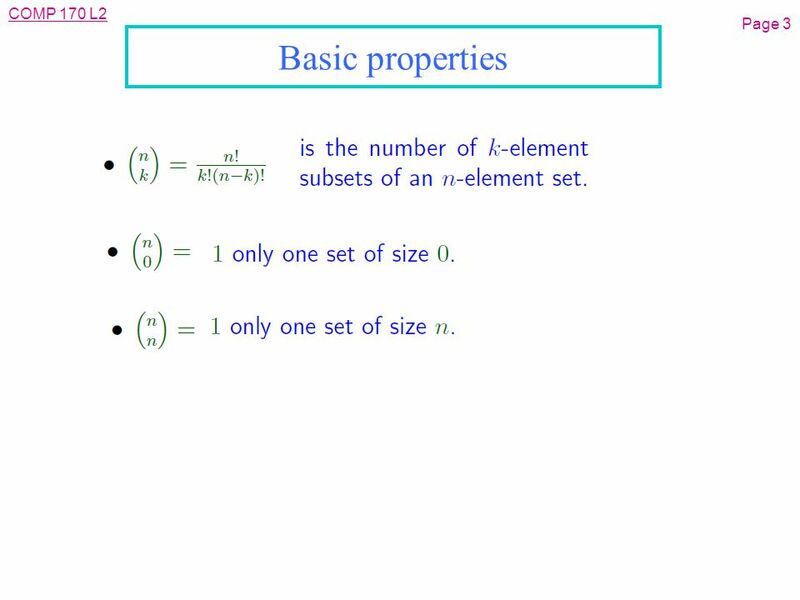 4 COMP 170 L2 Page 4 Basic Properties l Correct, but not so telling. 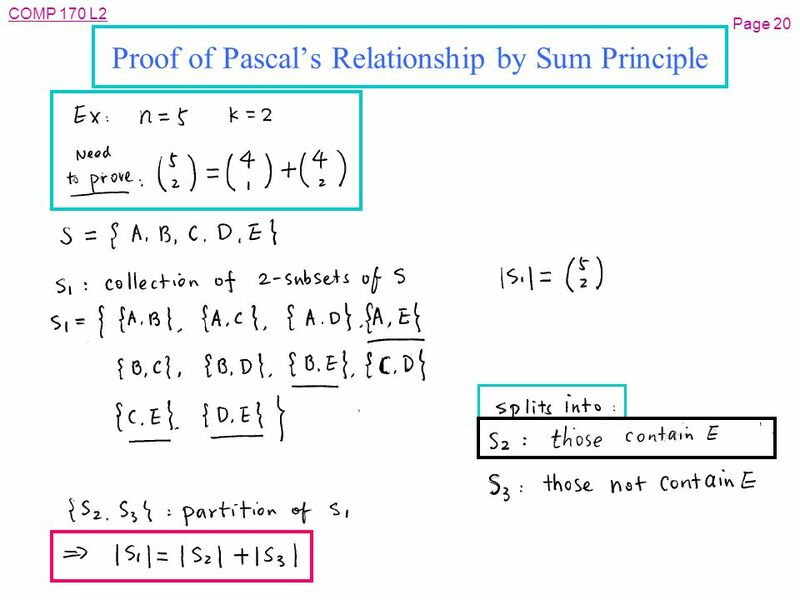 5 COMP 170 L2 Page 5 Proof of. 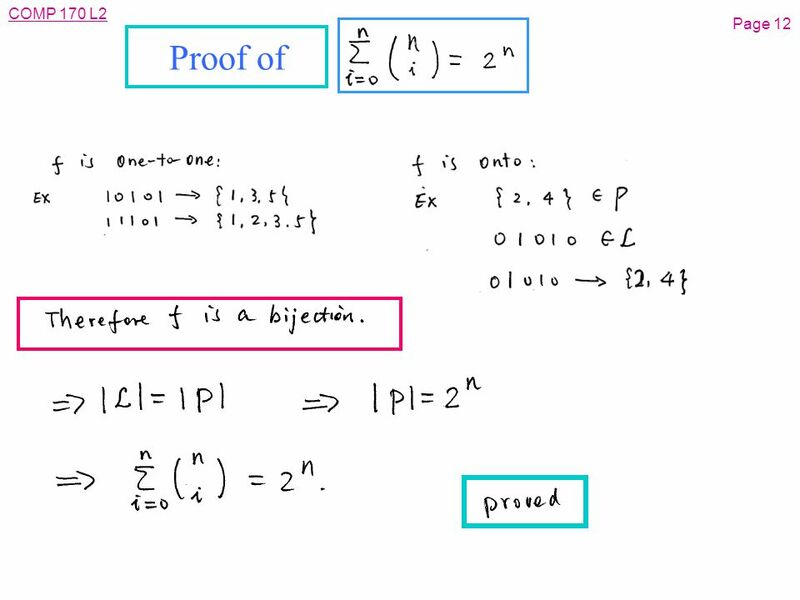 6 COMP 170 L2 Page 6 Proof of. 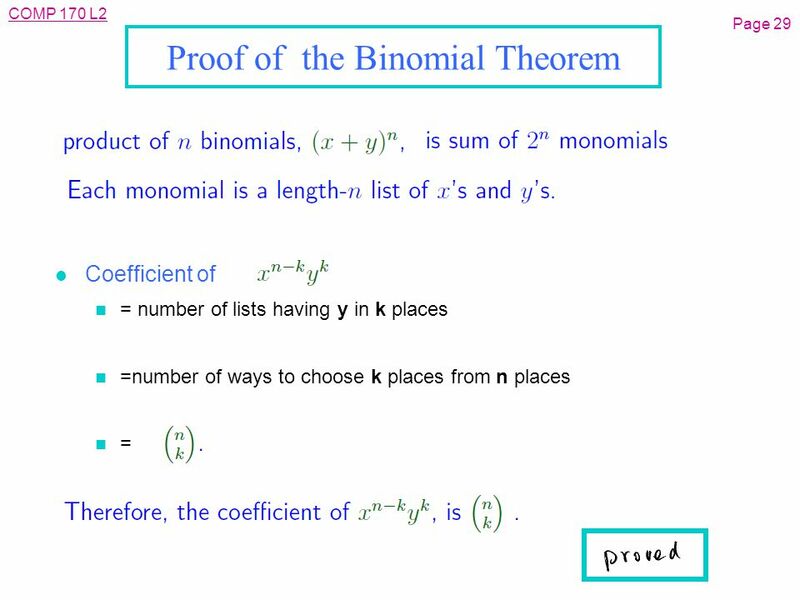 7 COMP 170 L2 Page 7 Proof of. 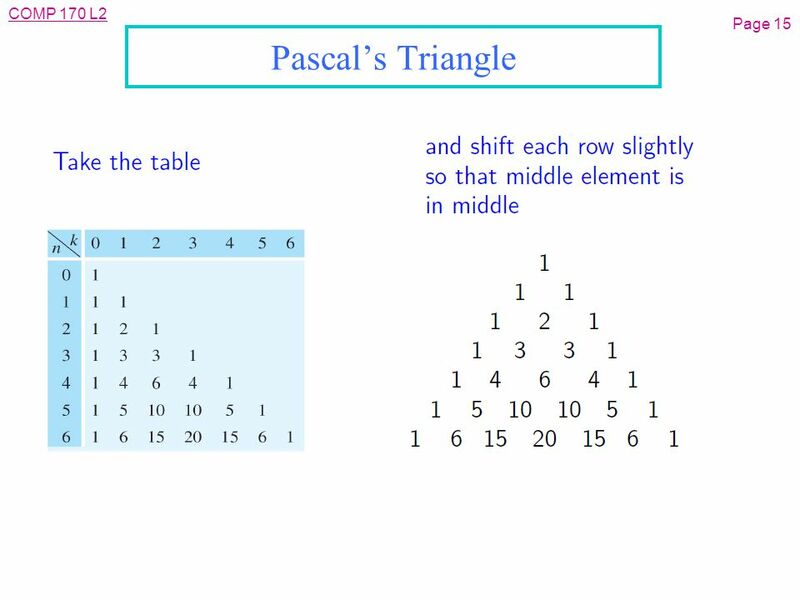 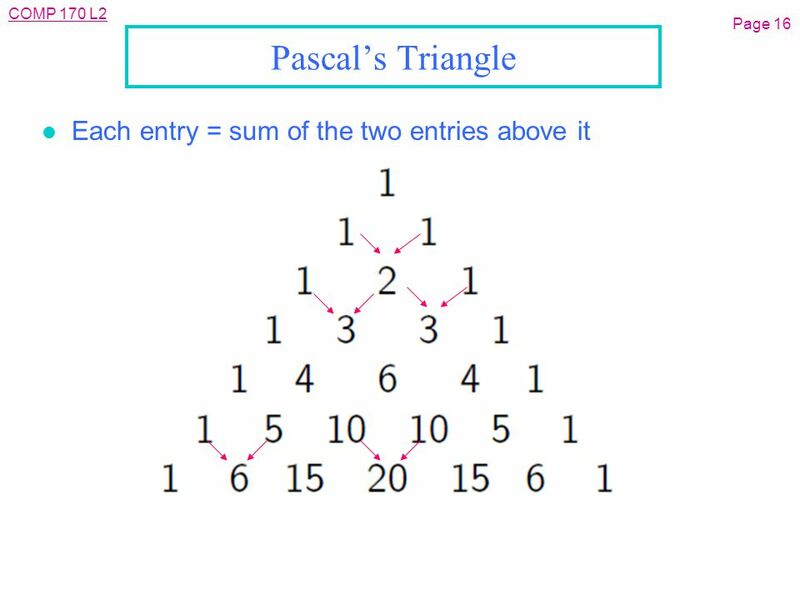 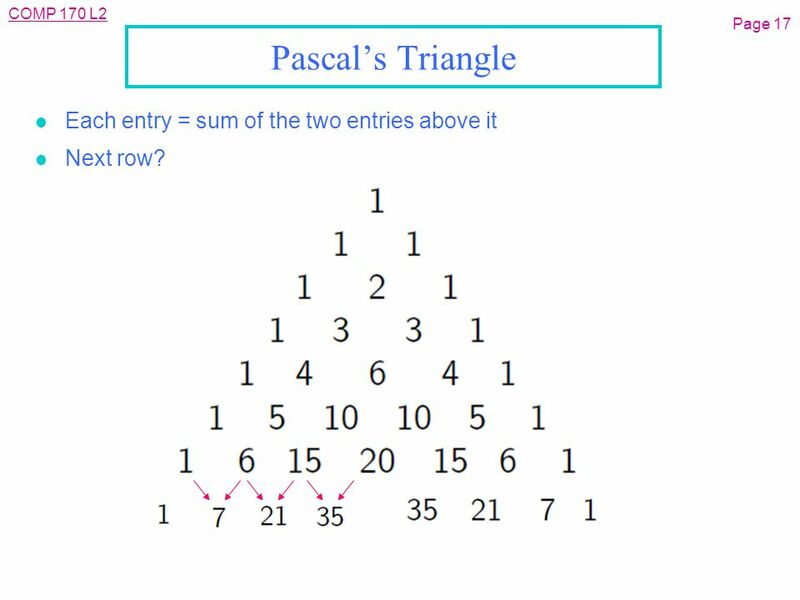 17 COMP 170 L2 Page 17 Pascal’s Triangle l Each entry = sum of the two entries above it l Next row? 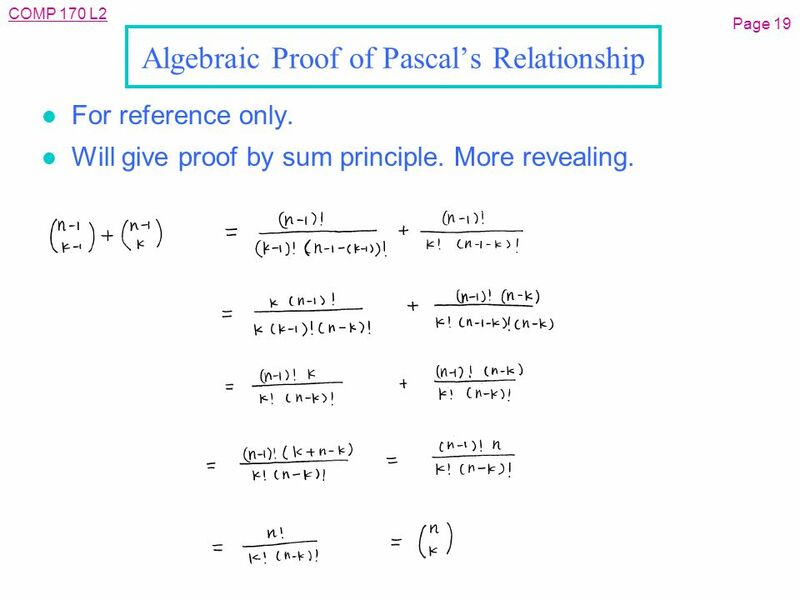 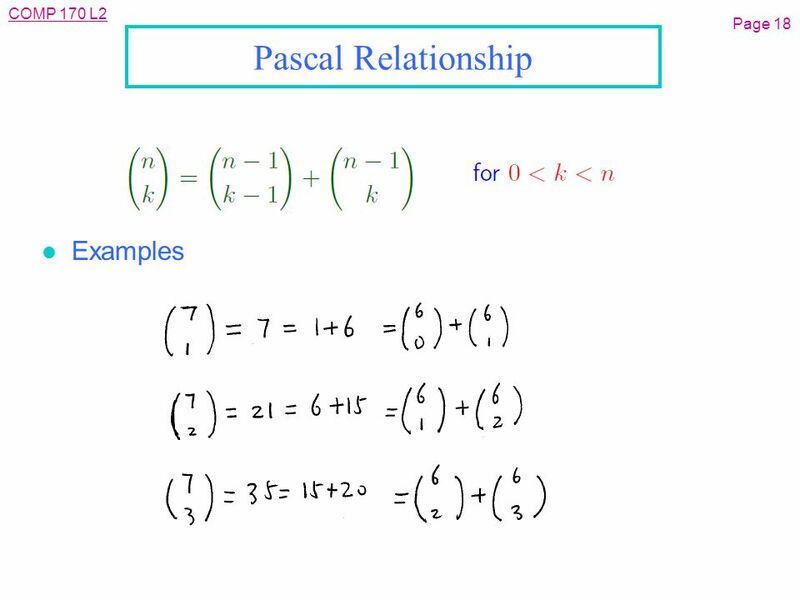 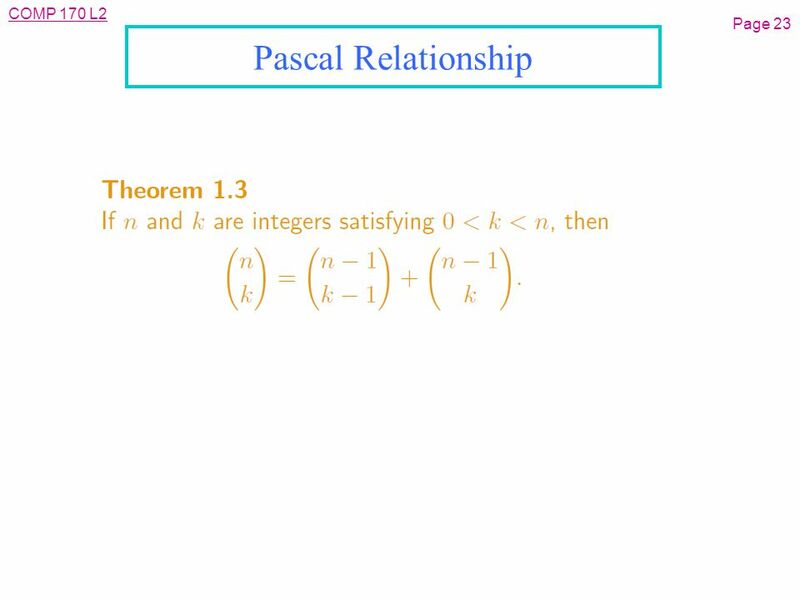 19 COMP 170 L2 Page 19 Algebraic Proof of Pascal’s Relationship l For reference only. 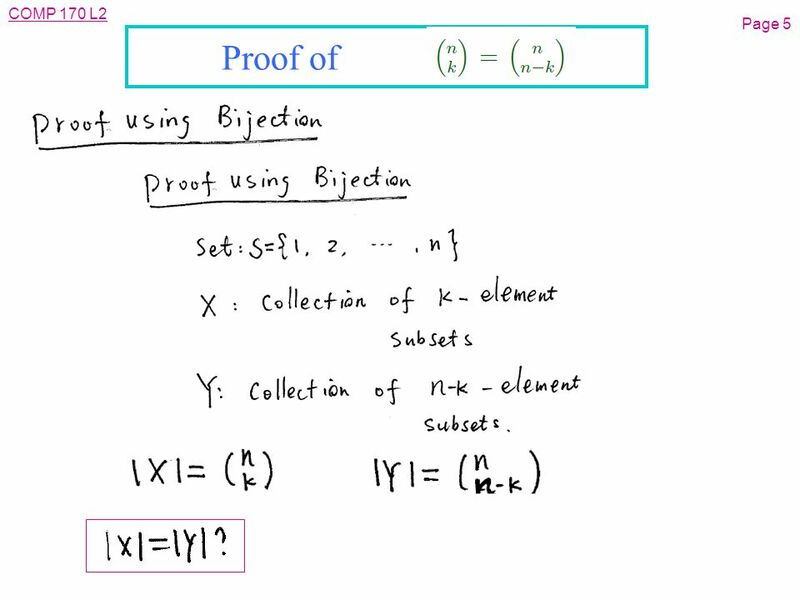 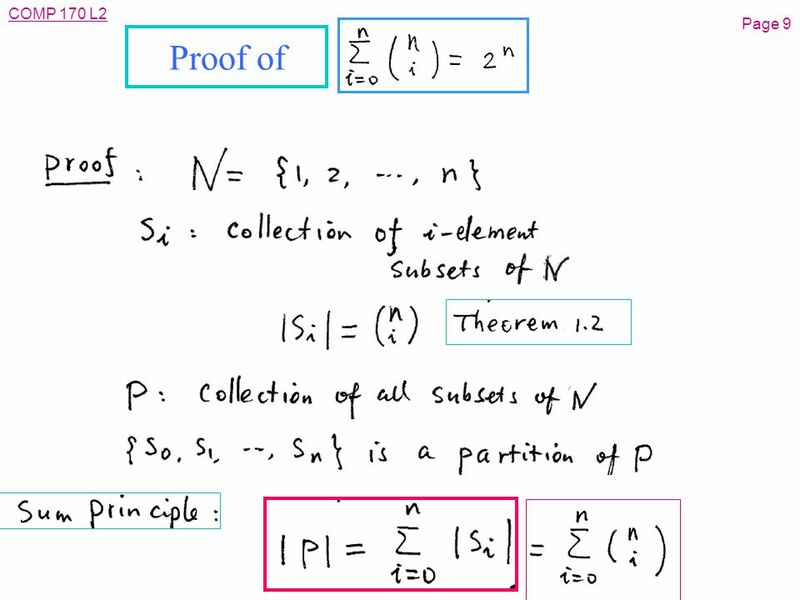 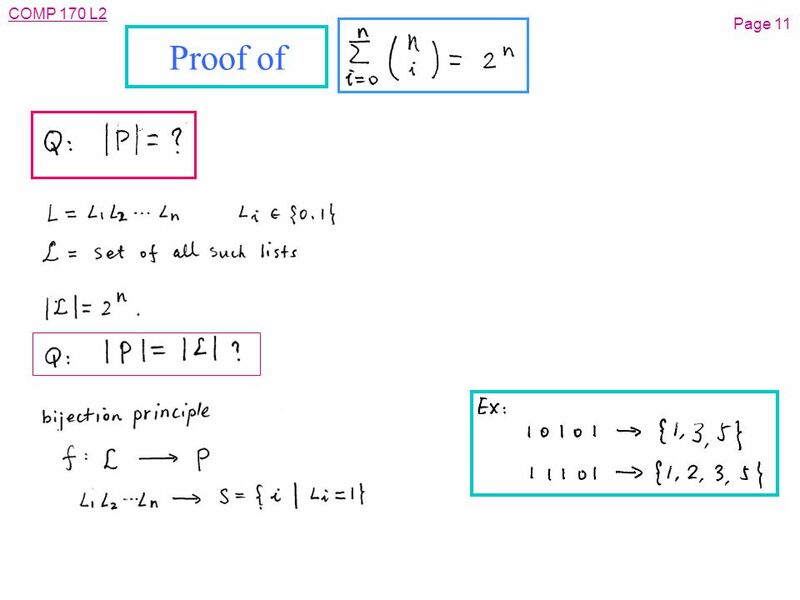 l Will give proof by sum principle. 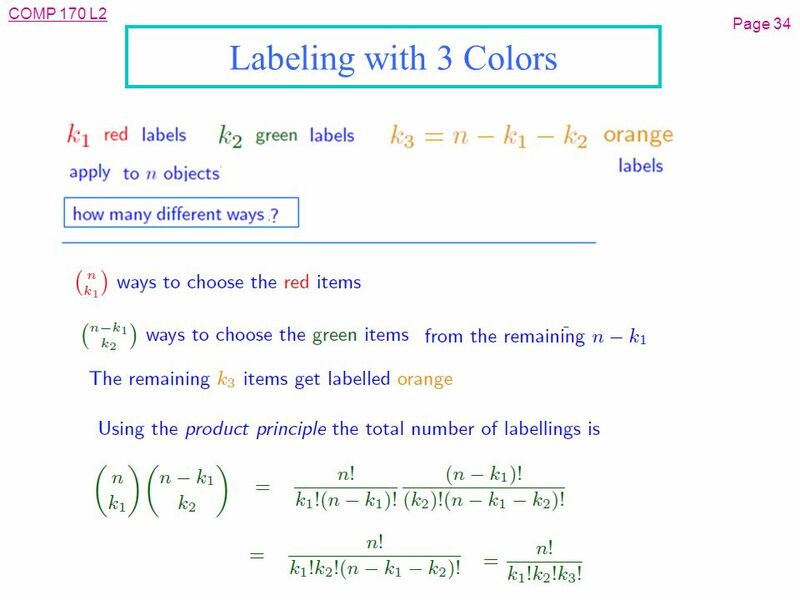 More revealing. 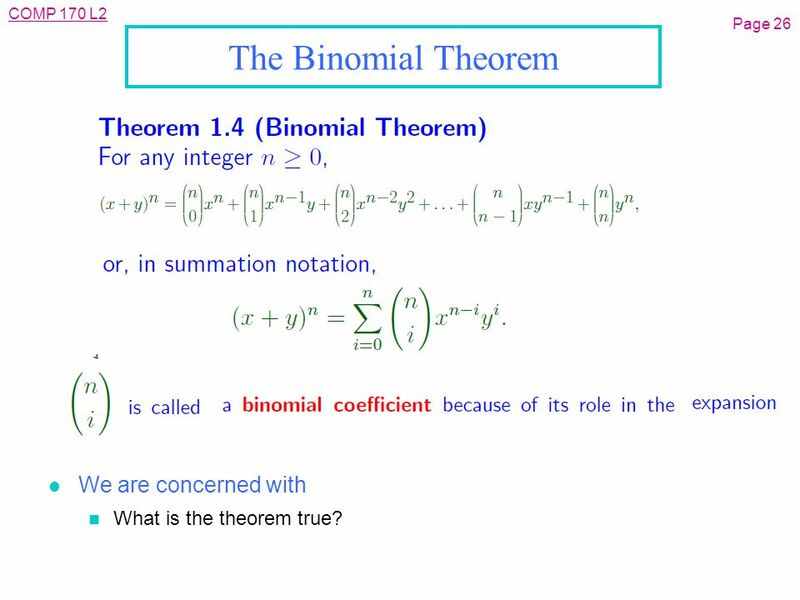 26 COMP 170 L2 Page 26 The Binomial Theorem l We are concerned with n What is the theorem true? 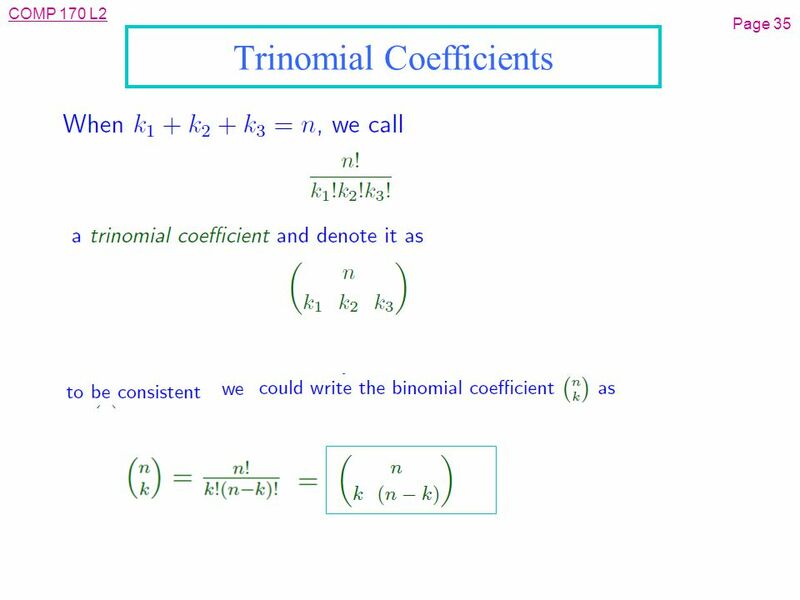 Download ppt "COMP 170 L2 Page 1 L03: Binomial Coefficients l Purpose n Properties of binomial coefficients n Related issues: the Binomial Theorem and labeling." 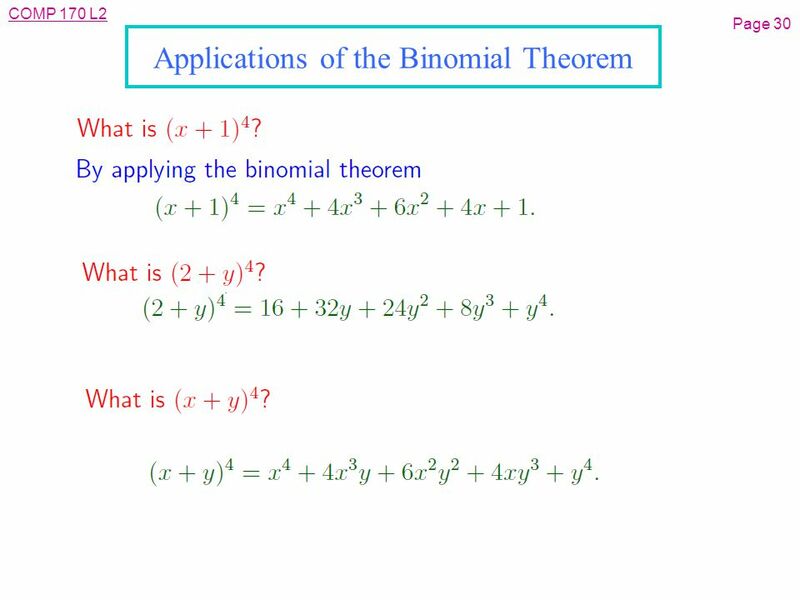 Year 12 C1 Binomial Theorem. 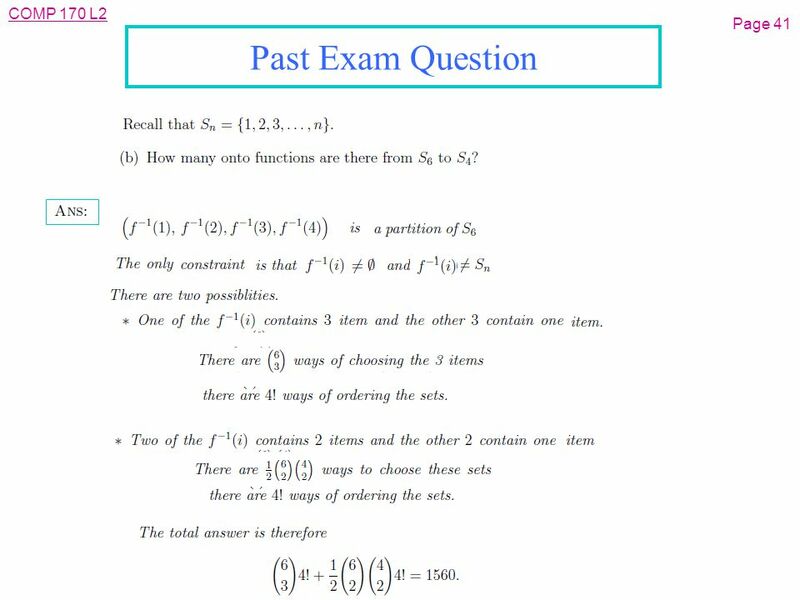 Task Expand the following: 1. 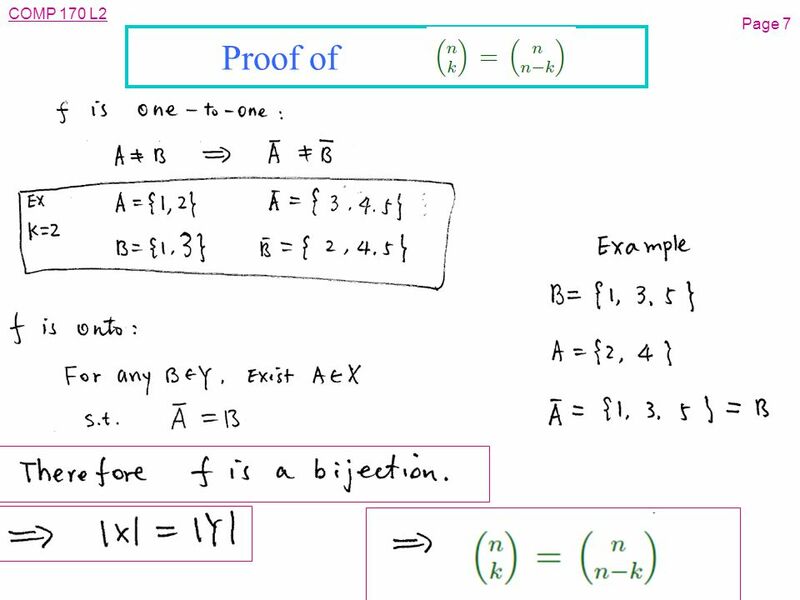 (x + y) 1 2. 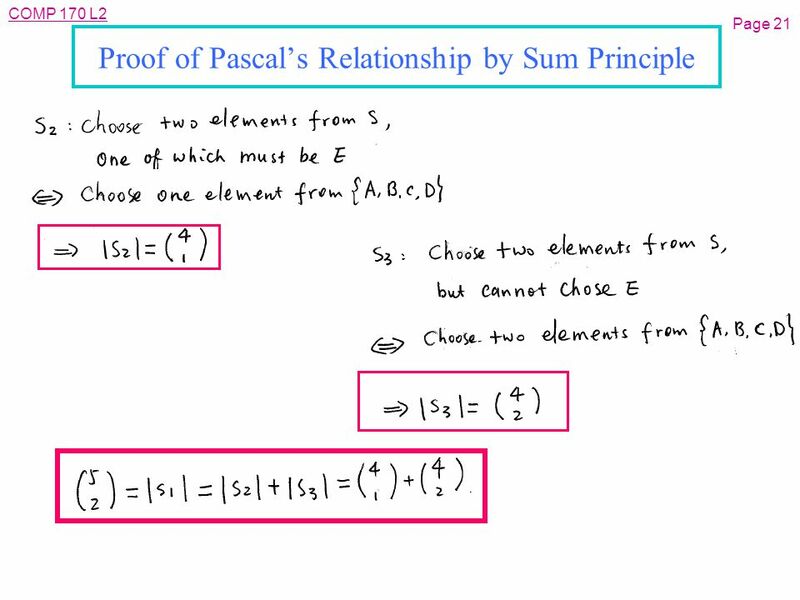 (x + y) 2 3. 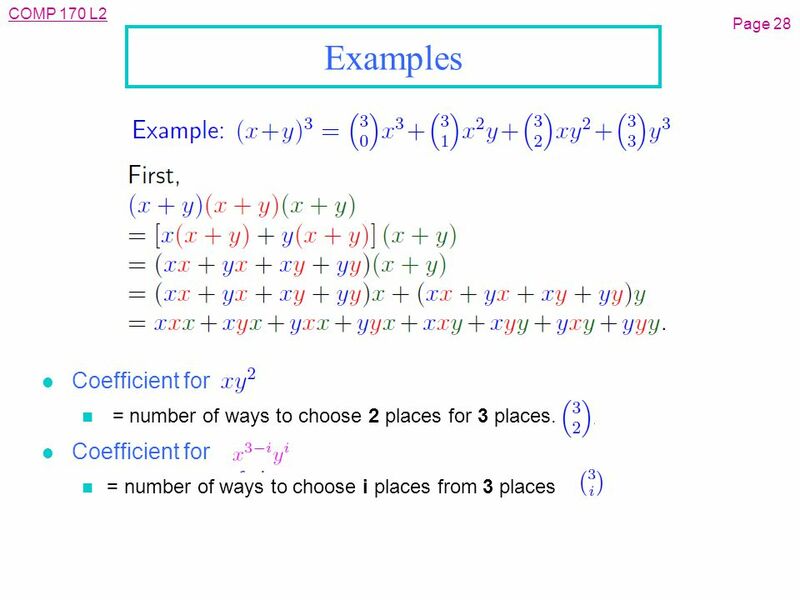 (x + y) 3 4. 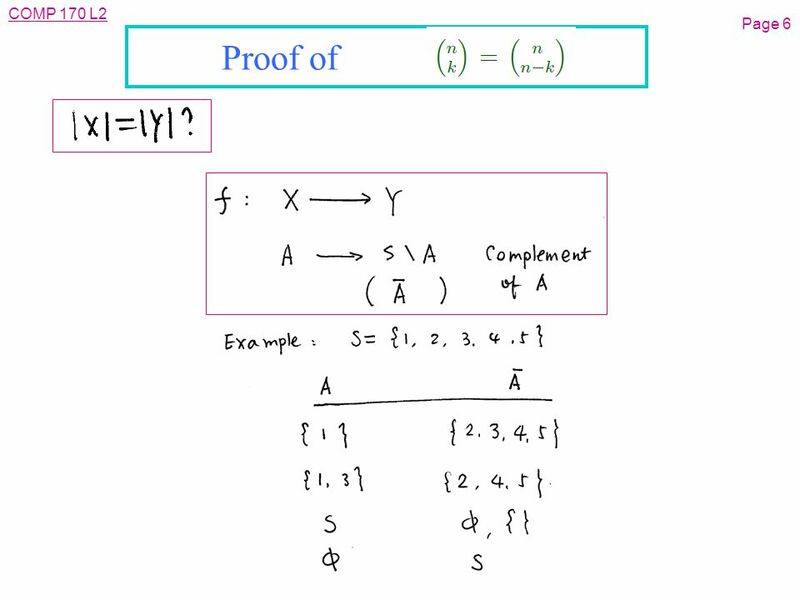 (x + y) 4 What do you notice? 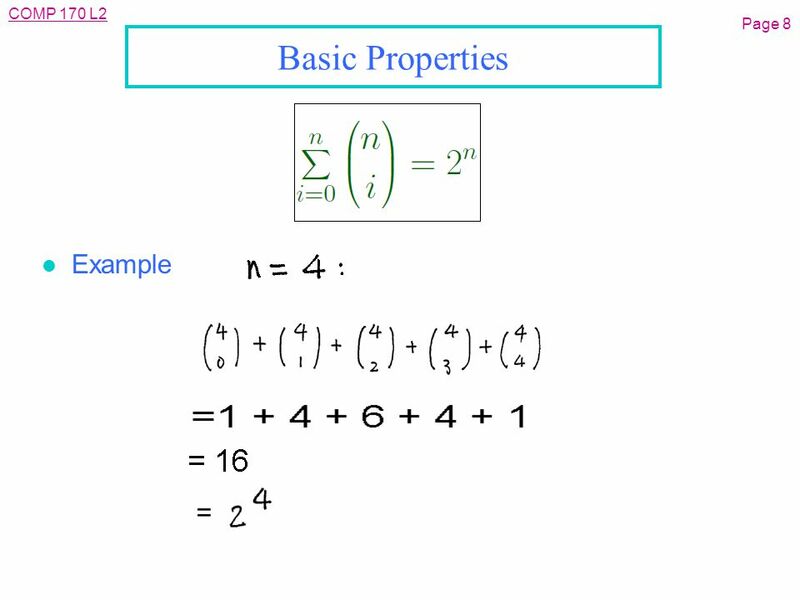 Powers of x start from. 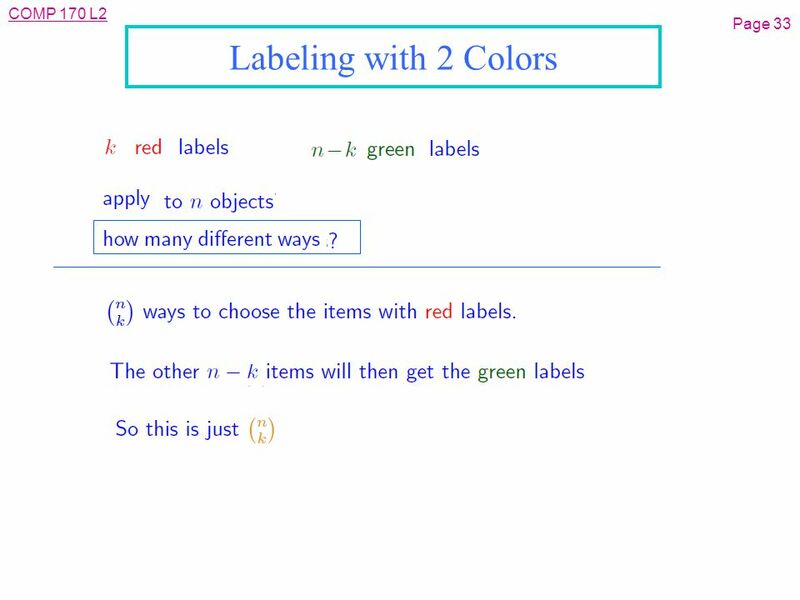 Counting Chapter 6 With Question/Answer Animations. 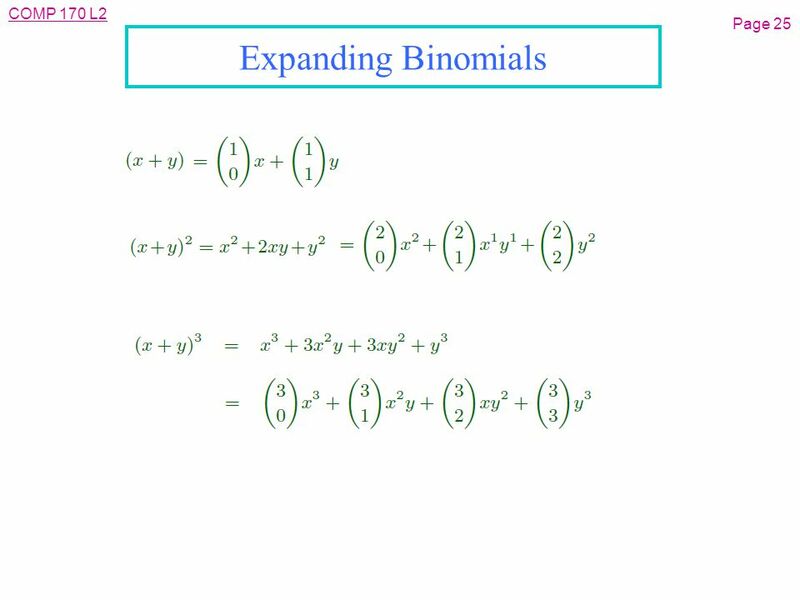 Factoring Algebraic Expressions Multiplying a Polynomial by a Monomial Multiplying a Binomial by a Binomial Dividing a Polynomial by a Monomial Dividing. 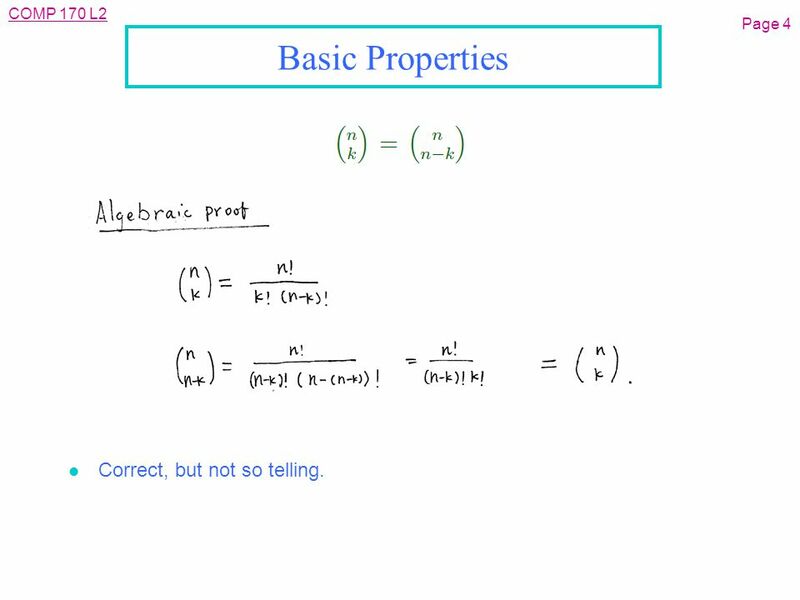 College Algebra Sixth Edition James Stewart Lothar Redlin Saleem Watson. 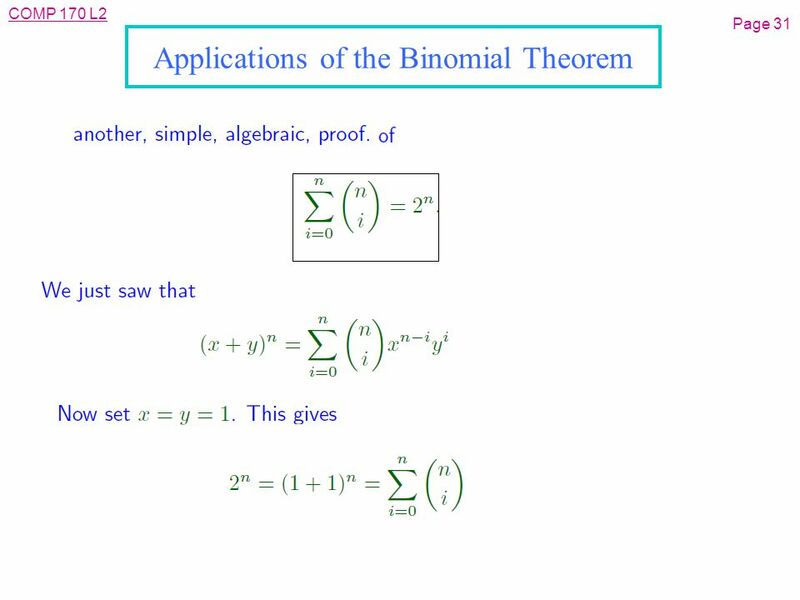 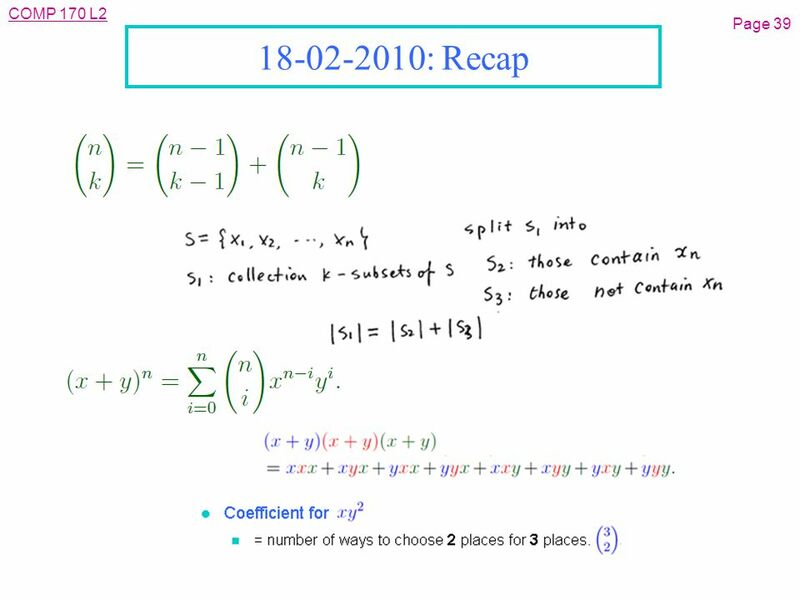 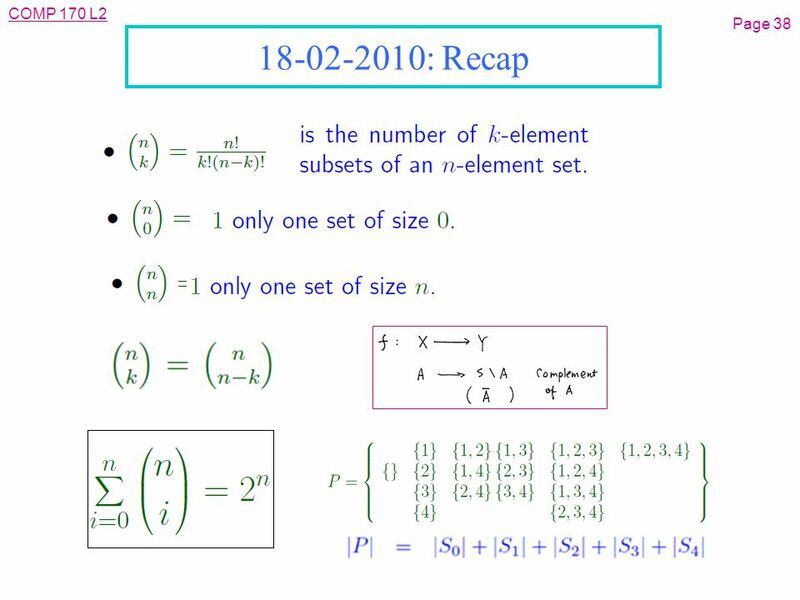 Rev.S08 MAC 1140 Module 12 Introduction to Sequences, Counting, The Binomial Theorem, and Mathematical Induction. 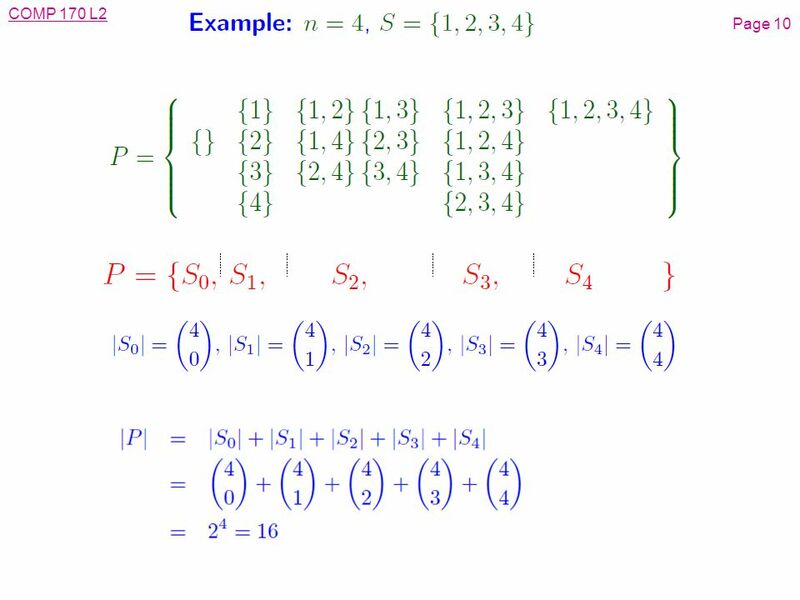 1 Section 1.8 Multiplication of Algebraic Expressions. 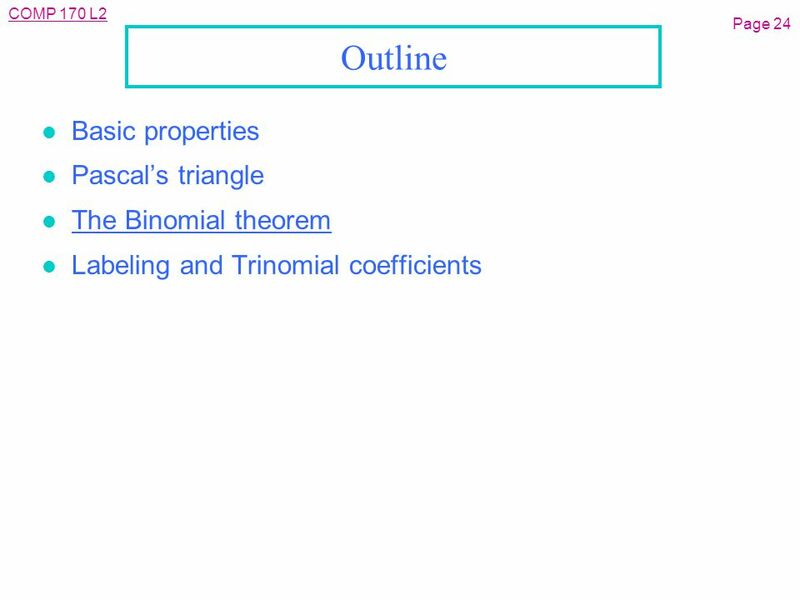 Chapter 7: Polynomials This chapter starts on page 320, with a list of key words and concepts. 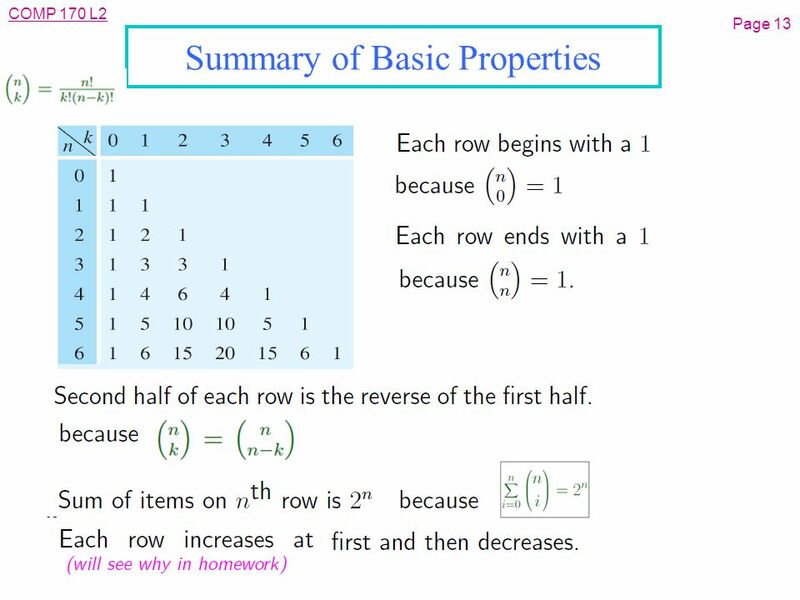 Section 4.2 Adding & Subtracting Polynomials. 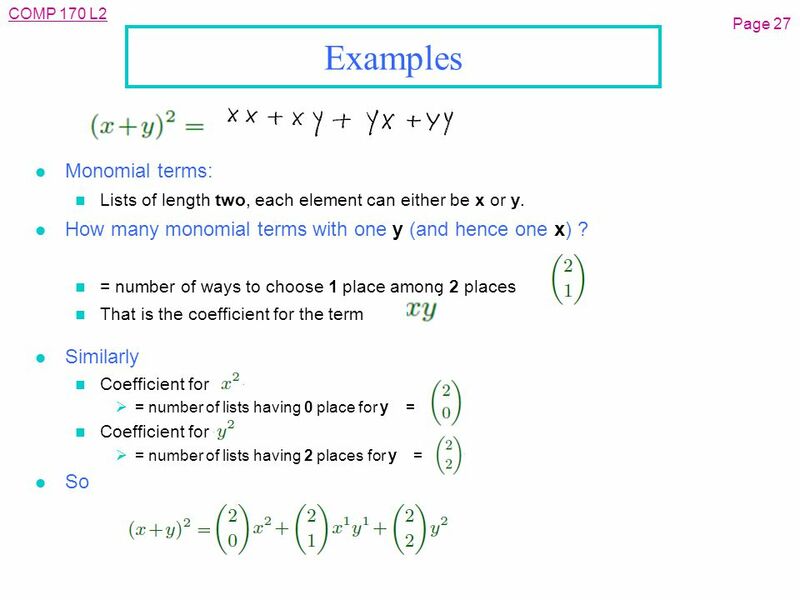 Monomial An expression that is either a numeral, a variable, or a product of a numeral and one or more variables. 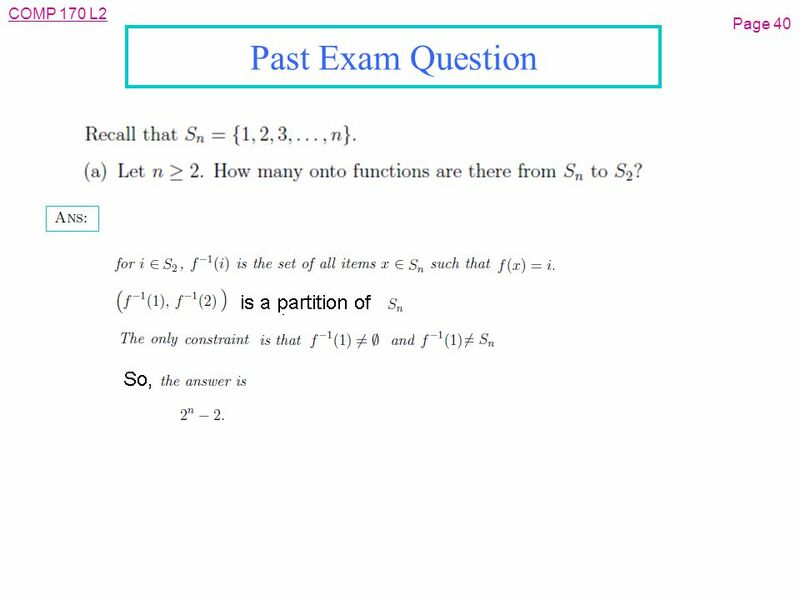 Chapter 6 With Question/Answer Animations 1. 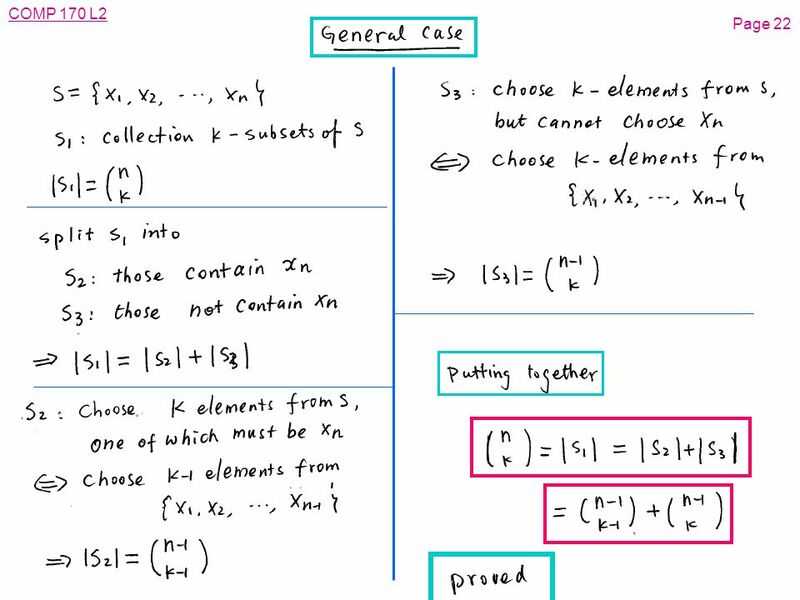 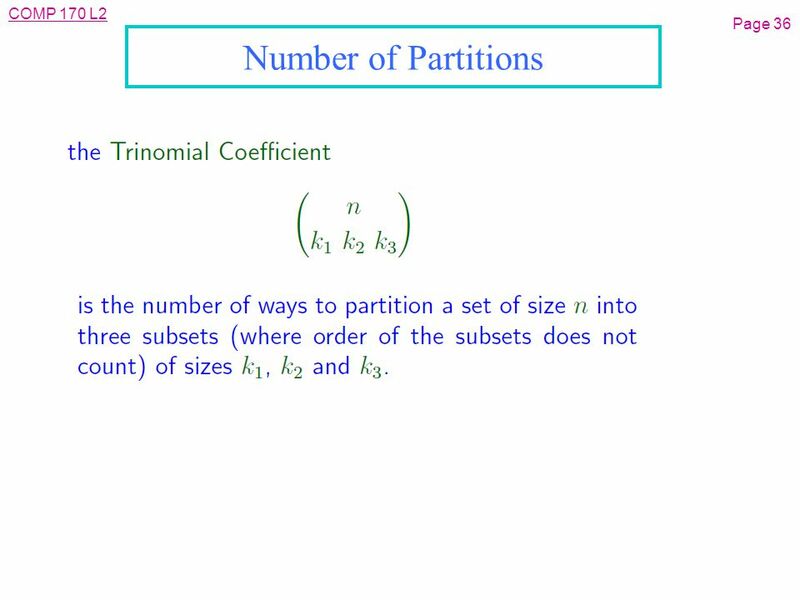 Chapter Summary The Basics of Counting The Pigeonhole Principle Permutations and Combinations Binomial Coefficients. 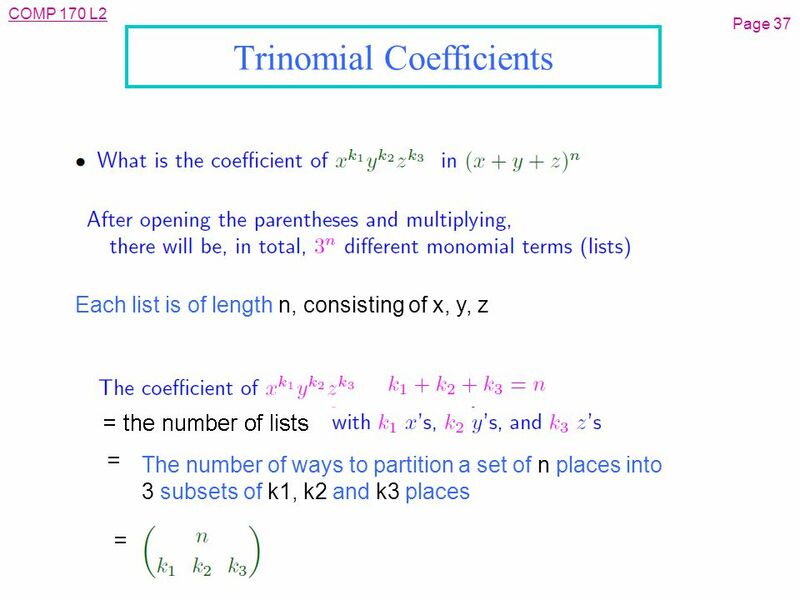 1 Binomial Coefficients CS 202 Epp, section ??? 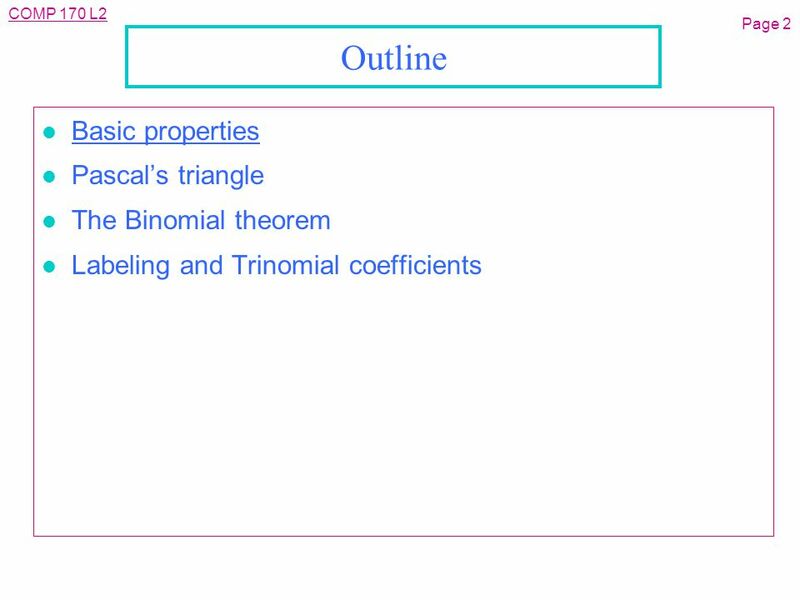 Aaron Bloomfield.